Each of us lives inside a box where things make sense, we feel we belong, and the meaning of life is managed. We got here through a long process of socialization as our tribe shaped us into a proper member. Our identity may seem more substantial than that, but actually who I am and who you are is a social construction that has absolutely no validity outside our box. Identity and membership always go together. 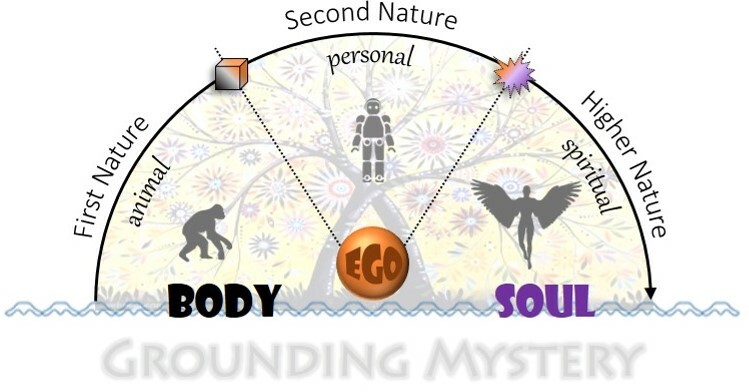 Our experience inside the box has both an objective dimension, referred to as our world, and a subjective dimension, affectionately known as our self. Each of us has a self and a world, and our separate worlds periodically click together and overlap in places where our perspectives on reality are in agreement. We also disagree at times, and our disagreements can turn into conflicts – even violent conflicts as we strive to keep our different worlds intact. If my world should lose its credibility, my self is also in jeopardy since each is implied in the other. Self is my centered experience of having an identity. Everything that is unique to who I am – my fantasies, insecurities, and ambitions; my personal myth (i.e., the story of who I am), secret aspirations, and the records I keep on those who owe me something or deserve a favor – is kept in this inner room of mirrors. 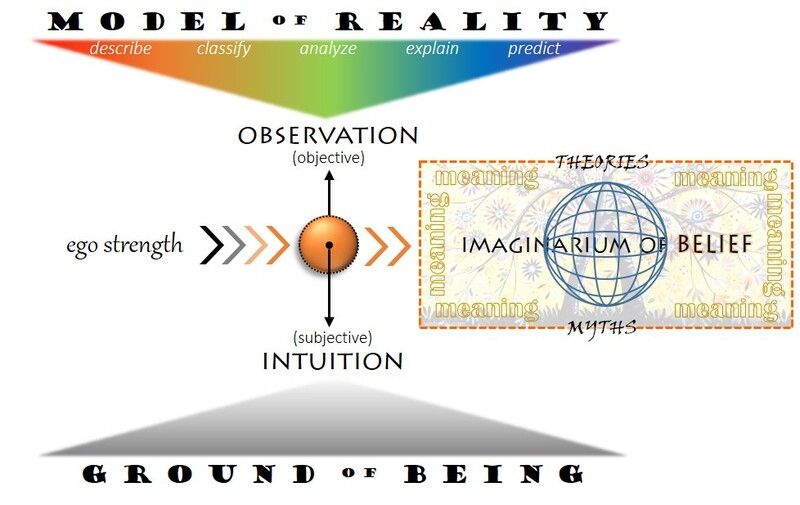 Try to imagine your box, my box, and the almost countless number of other boxes that comprise the mosaic of culture: each of us trying desperately to defend our ‘truth space’ as we stay connected to (or try to avoid) the others. There’s no denying that we need each other, and that the great project of human culture somehow depends on our ability to get along, but managing the meaning of life is demanding work! 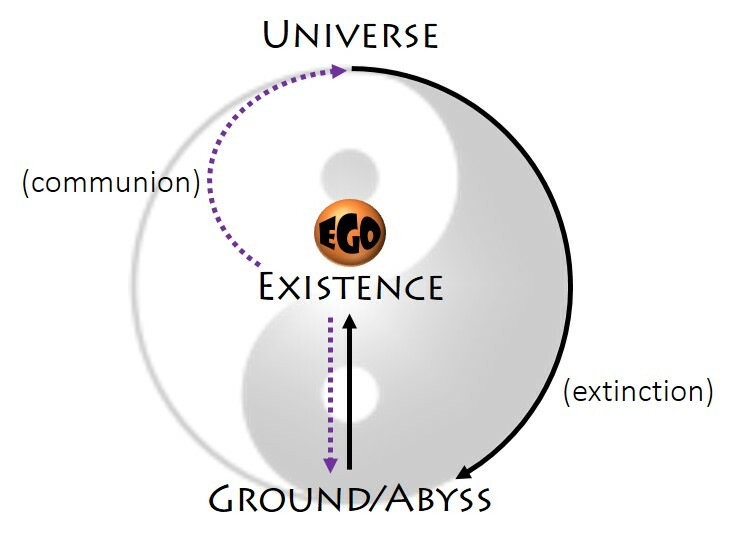 If we were fortunate enough to grow up in a supportive family where we could develop our talents and potential and were positively assisted toward the achievement of ego strength, then the transpersonal experiences of communion (an inward mystical path to the grounding mystery) and community (an outward ethical path to the turning mystery) opened us to present reality outside our box. Such experiences are not about enlarging our box or magnifying the meaning of life, but instead they engage us with a present mystery that is perfectly meaningless (or indescribably perfect). It very simply is. It’s not about “my” security, identity, or significance at this point. Whether it comes to us as a rational observation or a mystical intuition, we are spontaneously aware that All is One; or as an ethical realization, that We’re All in This Together. I am grounded in being itself, a manifestation of the provident universe, and a participant in the higher wholeness of all things. Healthy religion has the purpose of bringing us to this position of centered strength (or personal integrity) so that we can drop inwardly or leap outwardly into the One Life. I have to insert that qualifier “healthy” in acknowledgement of the fact that religion can also interfere with our progress to the transpersonal mystery of holy oneness. This happens when religion gets hijacked by leaders and other influencers who have failed to progress in their own psychospiritual development. Their insecurities, attachments, ambitions, and convictions have them locked inside a box that, for them, is the way – the one and only way of salvation. Yet it’s not a way at all, but a cul-de-sac, a spiritual death trap, a closed and rigid box. When religion ordains and institutionalizes the arrested development of such individuals, eventually the orthodox portrait of deity gets twisted and corrupted into a projection of their neurotic personalities. Others under their leadership and influence contract this same sickness, and the entire company can spin into dogmatism, bigotry, violent aggression, or even suicide. If this sounds like a description of the way things are in the Big Box of our global situation, then we have some insight both into how we got here and where the path of liberation leads. 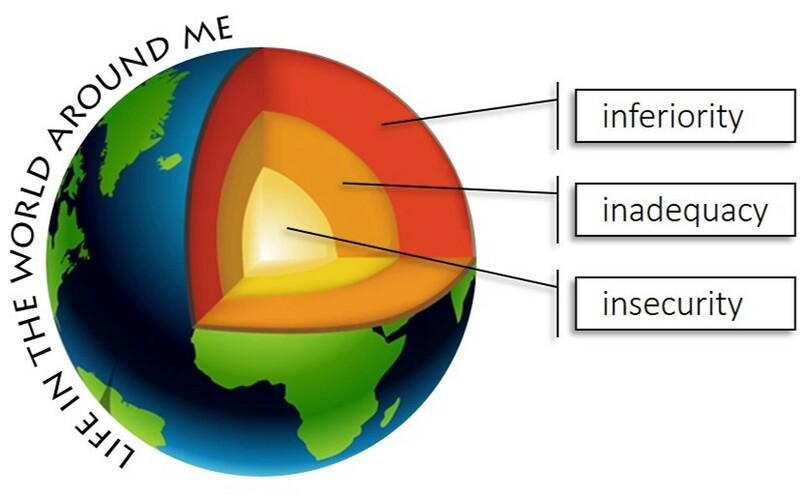 You should know, also, that there are many thousands of others who are presently waking up to the One Life all around our planet, and their percentage of the human population is steadily growing. Perhaps you and I can be instrumental in accelerating the process of awakening, by understanding its unfolding in ourselves and serving its advent in others around us. So let’s dig a little deeper into the current pathology, and then remind ourselves of the way out. Paul Tillich was one of the most important Christian theologians of the twentieth century, and his one-word assessment of our human condition (in this stuck, sick, and fallen sense) was that we are estranged from ultimate reality, which he named being-itself or the ground of being. Estrangement is defined as the state of being removed or kept at a distance, as in the case where an individual is estranged from his or her family. Along with this separation, then, are attitudes and feelings of distrust, condemnation, shame, and hostility. Tillich wasn’t implying that human beings are condemned by a god, but that our ‘fall’ into a separate ego has infected our general outlook on reality as something set apart and over-against us, menacing and unfriendly. This anxious outlook on reality can take hold of a religion, as I mentioned above, but religion isn’t its only victim. Other cultural institutions, most crucially the family where the shaping of our personal identity begins, are also taken over. 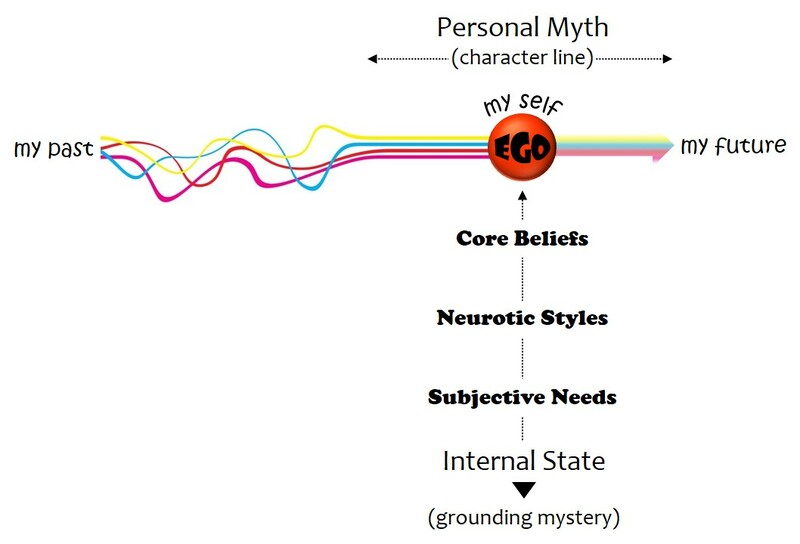 Whereas the gradual differentiation of a separate identity would normally lead to a stable, balanced, and unified personality under the executive management of a healthy ego, when this process isn’t conducted by a caring and supportive community, our insecurity overwhelms us and we shrink our box to stay safe and in control. 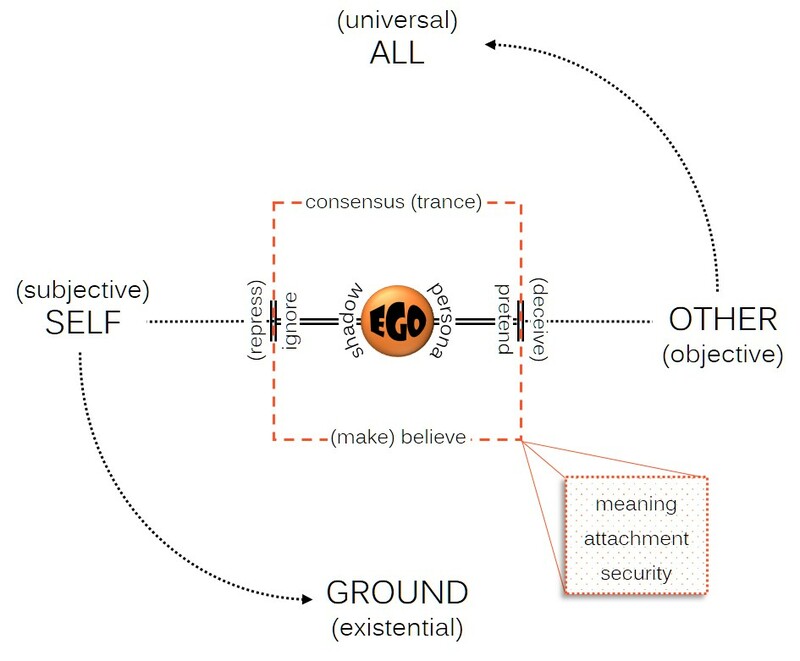 In my diagram above, estrangement is connected with two other terms which correspond to the self and world dimensions of personal identity. The fallen condition of estrangement (pathologically separate from reality) is felt internally as emptiness. Synonyms might be discontent, insatiable craving, and the belief that we are deficient or profoundly defective. Externally we are confronted by absurdity, by the nature of reality as ‘absolutely mute’ – indifferent to our needs, unresponsive, cold and uncaring. Tillich believed that the modern era could be characterized as suffering from a spiritual malady of meaninglessness (as earlier eras had struggled with guilt or death). 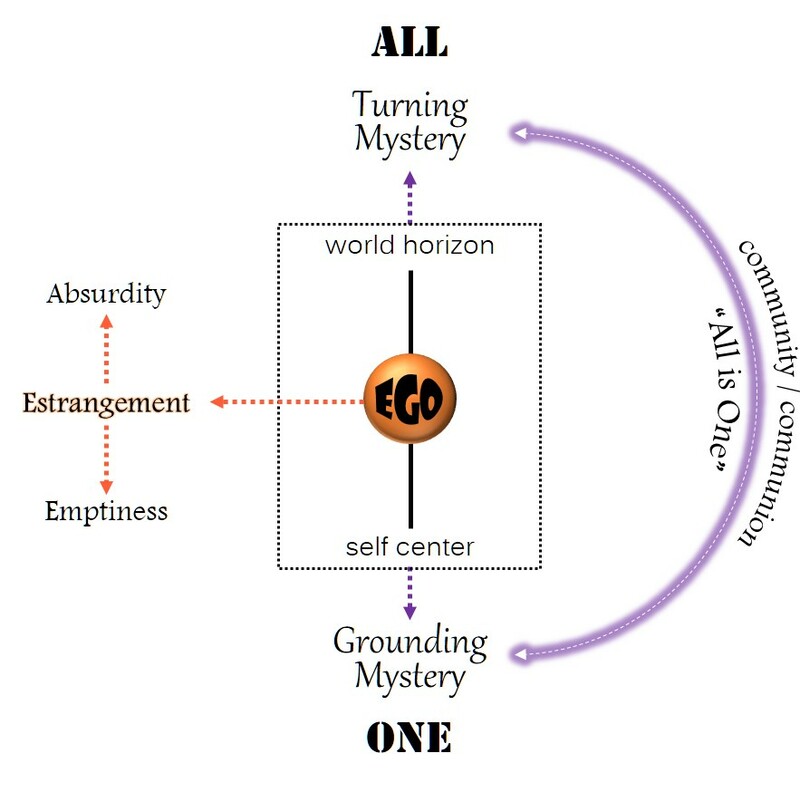 The condition of estrangement, then, signals our abrupt removal from unity consciousness – from both the grounding mystery within (instead, we are empty inside) and the turning mystery beyond (instead, the cosmos is absurd). This is when we are especially susceptible to religions that promise to save us from this world and reward us with life everlasting. Where is our true liberation, then? Not in an other-worldly paradise of some kind – although even in this mythological image there is a kernel of insight, since what we seek is engagement with the present mystery of reality, which awaits us outside our box and on the other side of meaning.